charley is using Smore newsletters to spread the word online. A Computer MotherBoard is a part of the Computer which helps the computer work. What does the ComputerMotherBoard look like? A Computer MotherBoard looks more like a game than something that makes the computer work . I know it seems weird but it does look like it,it doesn't look like it would make the computer work. There are a lot of other things inside the Computer than just a MotherBoard. There are lots of little things inside a computer and i think that the MotherBoard is one of the biggest pieces of a computer. The computer seems like it is tiny but it actually isnt tiny because of all the things that are inside a computer there are a lotmore things like the Drives,Monitor,CPU,RAM,ROM,Inputs,Outputs and Touch Screens. Also there are a lot of little things in the computer monitor as well. What is a Computer driver? A Computer Driver is a program that controls a device every Device wether it is a printer a disk driver or a keyboard MUST have a computer driver program. Many drivers such as the keyboard comes with an operating system. A Monitor is the box on the side of the computer which makes the computer work. The computer Monitor Also has a lot of little things in it as well and they also make the monitor and the computer work whcfih is the best part of it. The computer is really usfull to find out things as well. What is a computer ROM? 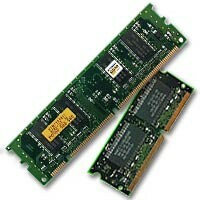 RAM stands for Random Access Memory, or volatile memory, is used by the system to store data for processing by a computer's central processing unit (CPU), also known as the processor. RAM stores the data in memory cells that are arranged in grids much like the cells are arranged in a spreadsheet, from which data, in the binary form of 1's and 0's, can be accessed and transferred at random to the processor for processing by the system's software. Motherboards are subcategorized by the type of processor socket they have. The processor socket (also called a CPU socket) is the connector on the motherboard that houses a CPU and forms the electrical interface and contact with the CPU. Processor sockets use a Pin grid Array (PGA) where pins on the underside of the processor connect to holes in the processor socket. Computers based on the intel *86 architecture include socket processors.